Just two days before InnerWorkings Inc. was set to hold its 2018 annual meeting of stockholders, the Chicago-based distributorship announced that the event, originally scheduled for May 31, was being postponed. 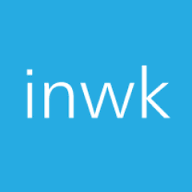 On May 7, InnerWorkings revealed that it would restate its historical financial statements for fiscal years ending Dec. 31 2017, 2016 and 2015, along with all interim periods within those time frames, due to accounting errors. In a statement, the company maintained that the mistakes related “primarily to recording a portion of costs of goods sold in the wrong period, and have no material impact on InnerWorkings’ cash flow, revenue or liquidity.” Additional time is required to complete the process. As a result, the company also delayed the release of its first quarter 2018 financial results and conference call, prompting NASDAQ to send a noncompliance letter. Under NASDAQ Listing Rule 5250 (c)(1), companies must file periodic financial reports with the U.S. Securities and Exchange Commission in a timely manner. The story’s twists don’t stop there. Since the news broke, multiple law firms, including Bernstein Liebhard, have filed class-action lawsuits on behalf of InnerWorkings’ investors. According to a press release, completion of the restatement and the filing of an amendment to the company’s 2017 Annual Report on Form 10-K are now expected to occur this month, at which time InnerWorkings will notify stockholders of the new date and time of its annual meeting, as well as of the first quarter 2018 earnings release and conference call. InnerWorkings ranked No. 1 on Print+Promo’s 2017 Top Distributors list, having generated roughly $1.09 billion in annual sales.